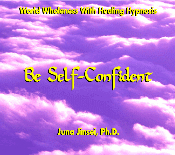 What is self-hypnosis and how can it help me? 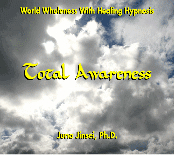 Though some people find it difficult to be hypnotized, and a few find it impossible, with the new technology of applying theta sound waves to meditation CDs, reaching a state of hypnosis has been made easy. 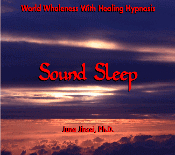 These CDs can lift you to a greater level of conscious clarity than you could ever have imagined possible. Simply by putting on your headphones and relaxing in a comfortable position, you can transport into the further reaches of your mind and access your Higher Self to eradicate your weaknesses and suffering, and replace them with indestructible personal power and an enthusiastic joy for life. How Do These Therapeutic CDs Work? 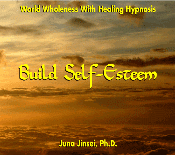 Over the years, Juna Jinsei has written and produced over forty CDs. 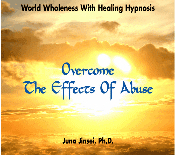 These include in-depth educational guides to ancient belief systems and philosophy, the application of metaphysical therapies, techniques for personal growth, and healing self-hypnosis to allow those in need to overcome a variety of traumas and negative behaviors. 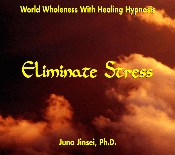 Her therapeutic CDs have been clinically tested with great success. They are engineered to produce theta sound waves that relax and ease the listener into a meditative state of detached awareness, which improves overall physical and emotional health. 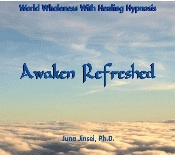 The visionary messaging each CD produces will create the positive energy necessary to overcome one's personal obstacles and accomplish the personal goal selected. 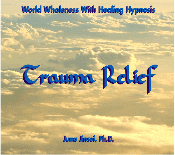 Allows You to Overcome Any Traumatic Burden that Keeps You from Advancing in Life!